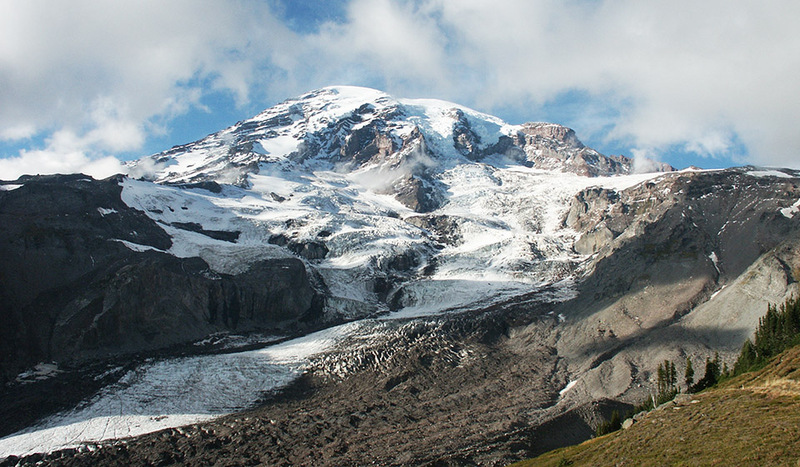 Mount Rainier is home to 26 glaciers alone, including the Nisqually Glacier on the southwestern face (pictured), which is one of the largest. Photo Credit: U.S. National Park Service. In light of global warming, more glaciers means more melting. And for the Pacific Northwest, which is home to the most glaciers in the contiguous 48 states, that also means increased vulnerability. For the first time, a team of researchers has evaluated the hydrological impact of receding glaciers in the region, which is expected to affect future water supplies. While changes in regional glacier mass has previously been studied, the hydrologic consequences on water supply have not been well defined until now. 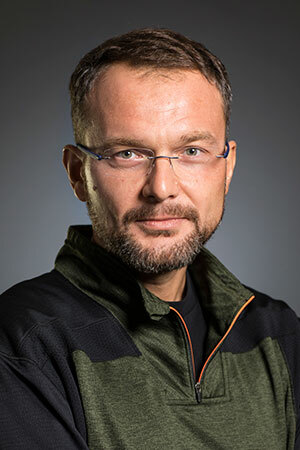 The new study, published in Water Resources Research, a journal of the American Geophysical Union, was led by CEE alumnus Chris Frans in collaboration with CEE associate professor Erkan Istanbulluoglu. 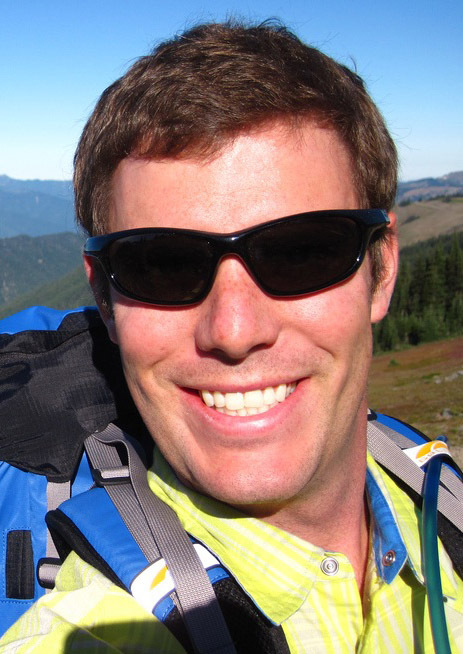 “This is the first study to use sophisticated numerical models to describe the relative role of glacier melt in river basins across the Pacific Northwest and project how it will change into the future as the climate warms,” Frans said. The annual melting of the Pacific Northwest’s more than 850 glaciers provides water for several states including Washington, Oregon, Idaho and Montana. Glaciers are an important water source for the region, providing water for downstream uses as they melt, including agricultural water supply, fisheries, hydroelectric power generation and drinking water. The supplementary water is especially critical during dry periods. 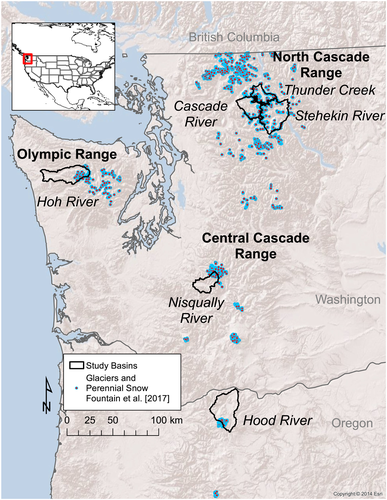 In the study, the researchers investigated six river basins, five of which are located in the Olympic, Central Cascade and North Cascade mountain ranges in Washington. The sixth river basin studied was Hood River in Oregon. Using computer models, the researchers estimated both past and future glacial meltwater volume from 1960 to the present and through 2099. Their findings revealed that the rate of regional glacier recession will continue to increase, which is expected to have both positive and negative outcomes. Location of river basins included in the regional analysis. The basin drainage areas are defined with black lines. On the upside, the increased glacier melt in high-elevation river basins will counteract declines in seasonal snowpack, also caused by global warming. However, lower-elevation basins will suffer, as smaller snowpack and the shrinkage of small glaciers will result in continued reductions in summer streamflow. This means there will be less water to feed river basins during the dry season. According to the study, river volumes in the late summer could be reduced by 80% due to decreases in both glacier and snow melt by the end of the century. “The study also underscores the variable influence of glacier melt across stream networks. Decline in streamflow in headwater streams can be much more severe, where glacier melt contributes a higher percentages of summer flows. This has critical implications on managing water resources for power production and aquatic ecosystem health in glacierized headwater basins,” Istanbulluoglu said.